Modern cameras allow photographers to remove and change the lens fast, using only one hand. Unfortunately, it also makes it easier for thieves to steal the lenses directly off the camera. 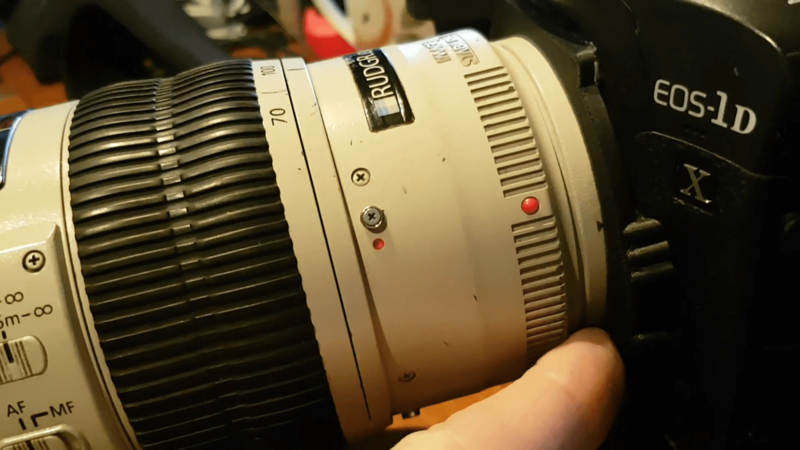 This is why photographer Rutger Geerling created Mark’s Lens Safe. It’s an accessory that protects the release button of your camera, making it impossible to remove the lens with one hand. He created it as an open source design for 3D printers, so everyone can download and print it for their camera. So, Rutger and his friend Mark decided to create an accessory that will disable the thieves from stealing your lens. Mark’s Lens Safe is a 3D-printed ring that covers the lens release button. It makes it harder to remove the lens, and impossible to do it with one hand. You can find the link to (3D printing) design here. The designs are open-source hardware, so anyone can feel free to share, modify and use it as they like. They are currently available only for Canon DSLRs, but Rutger is aiming to create them for some other less used Canon models. Hopefully, he’ll make them for other camera brands as well. Mark’s Lens Safe is very affordable, only around $0.60 in 3D printer material. Even if you don’t own a 3D printer and pay a 3D printing service, it’s still very affordable. Certainly a lot cheaper than buying a new lens. While making it harder to remove the lens is a plus side of this accessory, it is at the same time its downside – at least for concert photography. If you take two hands and a bit more time to change the lens, even if it’s just a few extra seconds – you could miss some epic moments. Still, I think it’s a small price to pay for keeping your lens with you. Another downside of Mark’s Lens Safe is that it produces a little more friction on the mount. This may wear it down a little bit over time. Rutger believes it’s a small price to pay, although I couldn’t completely agree. Still, since this is a pretty new invention, there may be some modifications and improvements, and hopefully, this downside will no longer exist. If you have suggestions and ideas how to modify and improve the Mark’s Lens Safe ring, you are welcome to give your suggestions and modify it as you like. So they will just take the whole Camera? Wow, three different people handled that lens in the video. One always has to watch for swarming while in tourist mode.